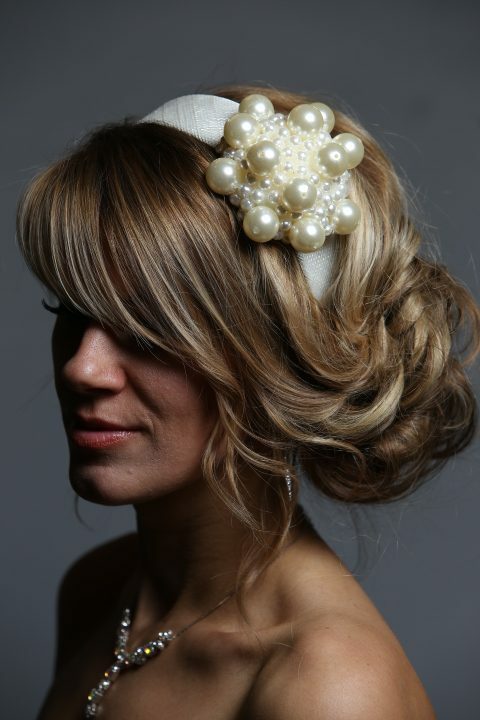 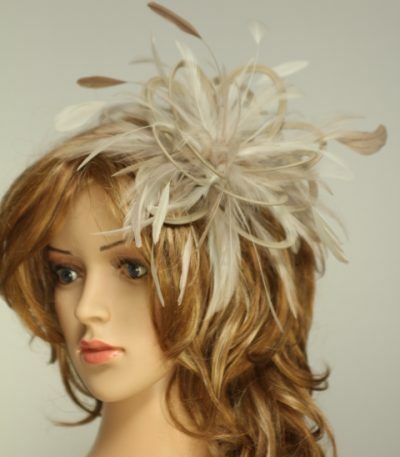 Stunning headband in ivory decorated with large pearl beads. 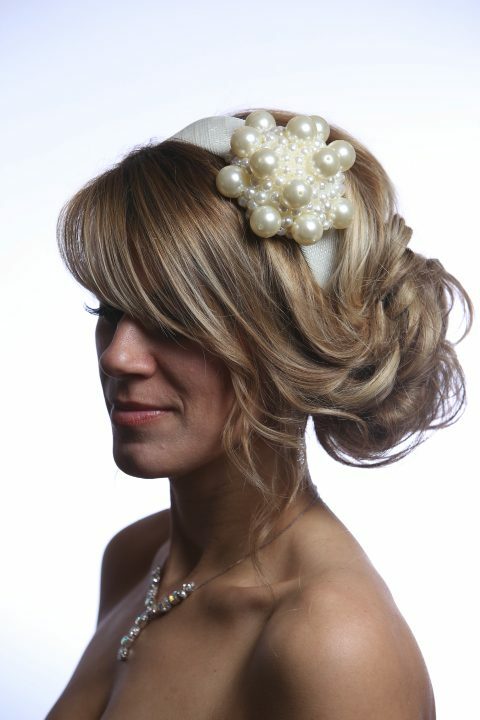 Large Pearls adorn a sinamay covered headband. 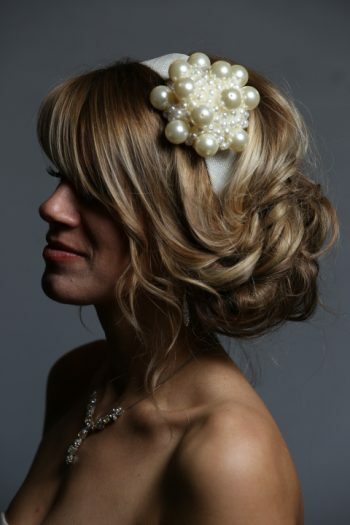 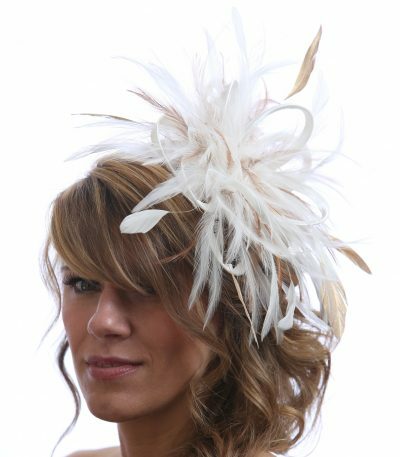 This is a truly unique style for a bride.